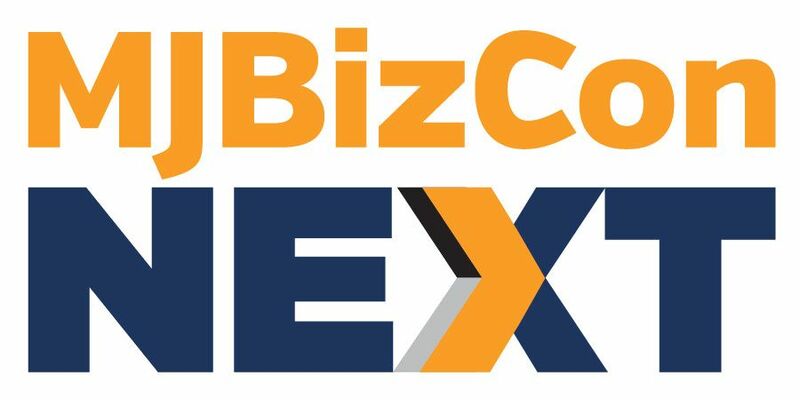 The marijuana extraction sector in Canada is still in “the early innings” and poised for significant growth after the federal government legalizes concentrates and edibles later this year, according to a market analyst. “What we like about extractors is that there is a long runway of growth ahead,” GMP Securities analyst Martin Landry told Marijuana Business Daily. In a report to investors, Landry wrote that the upcoming regulations will open the floodgates for a huge new segment of the cannabis market. The new regulations, to be enacted by Oct. 17, will pave the way for the production and sale of cannabis extracts, topicals and edibles – but it will likely take months after Oct. 17 for those products to reach shelves as businesses build up inventory and set up sales infrastructure. The GMP report foresees extracts eventually accounting for half of Canada’s market for cannabis. Vape pens will lead with 20% of the extracts sector, followed up by edibles (15%), beverages (10%) and other (5%). “Cannabis extraction is a critical step in the production of value-added products such as cannabis oils, gel caps, vape-able products, cannabis-infused food, topicals and infused beverages,” according to Landry’s report. In the fourth quarter of 2018, Canada’s medical and recreational markets were dominated by dried flower products, while extracts represented about 13% of gram-equivalents sold, Landry estimated. That low penetration can be attributed to the limited offerings from extracts, which so far have been oils, capsules and sprays. The new regulations “will allow for the sale of more complex extract products like vape-ables, topicals, edibles, beverages and other concentrates,” Landry said. 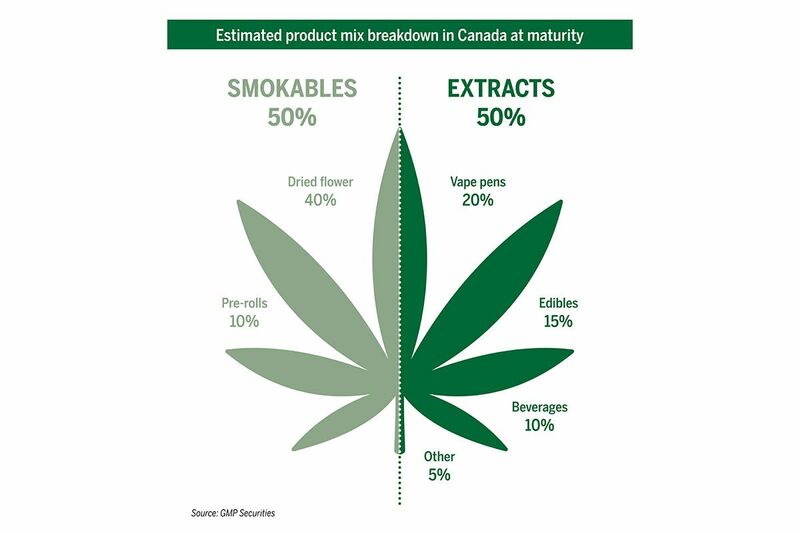 Based on more developed markets in some U.S. states, the GMP analyst estimated extract products could represent about 50% of sales in the Canadian market over time. Landry also said extractors could become “indispensable” to licensed cannabis companies. While some of the larger cultivators are doing extraction internally, others are outsourcing some of the process so they can use internal resources and capital elsewhere. And some are doing a bit of both. Canopy Growth, for example, inked a multiyear processing and extraction agreement with HollyWeed Manufacturing and Extracts. “Right now, they’re outsourcing extraction, but the prize (for extractors) is to provide white label services,” Landry said. “To be able to take the dried flower, turn it into a vape pen, brand it (for a major licensed party) – for instance – package it and ship it directly to the provinces without (that LP) being involved at all. When these extractors get to that point, you’re talking about margin expansion,” Landry said. Barrie, Ontario-based MediPharm, which trades on the TSX Venture Exchange as LABS. Toronto-based Valens Groworks, which trades on the Canadian Securities Exchange as VGW. Laval, Quebec-based Neptune Wellness Solutions, which trades on the Toronto Stock Exchange as NEPT. The bottleneck is still production. It will help when trim and seconds can be processed into salable product but you still gotta have cannabis to process. We have heard about the constant shortages since legalisation. Adding new product lines is not going to help with raw material availability i.e. the cannabis supply. It’s funny how demand has outstripped supply. And it’s only funny to me because I am a legal self producer and I got more pot than Carter has pills.